New Zealand heavyweight boxer Joseph Parker is apparently just days away from agreeing to a deal with Hughie Fury for title fight. 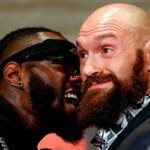 Reports have come to light saying that Parker’s promoters are in touch with Fury’s representative on a world title fight between the pair later on in the year. The fight will most likely take place in Manchester in the United Kingdom sometime in September. 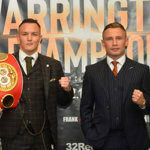 After Parker’s unanimous win over Razvan Cojanu in Auckland, Promoter David Higgins had just 30 days to negotiate a contract with Frank Warren, Fury’s promoter. The 30-day window has come and gone, closing on Tuesday this week. However, since the two camps are close to a deal, the WHO has extended the 30-day deadline by another week. Higgins said that he is positive that the deal is only a few days away. He told the press that the deal would not come down to a purse bid as with the first deal between the two parties. In that deal, Duco Events won the right to hold the fight in Auckland before Hughie Fury pulled out with a back injury. The fact that the two sides are meeting again to discuss another deal is fairly significant considering how Duco Events were put in a difficult situation when Fury pulled out of the fight a few weeks before the fight. When the deal is finally signed, it will give Parker a clear idea of his future before he heads back to his Las Vegas base to train. If the fight does take place in Manchester, it will be Parker’s first fight in the UK. While Higgins couldn’t go into any real details, he did hint that he had been working on a number of match-ups aside from the Fury fight. One such fight is most likely to be against David Haye or Tony Bellew. 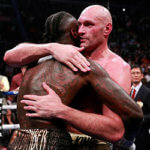 After Parker defeated Andy Ruiz Jr at the end of last year, Haye was initially put up as Parker’s mandatory challenger. But instead of getting into the ring with Parker, Ruiz decided to fight fellow Brit Tony Bellew, a cruiserweight fighter who stopped Hay in London a few months ago. Haye has now recovered from his inures which hampered him against Bellew. He has made his intentions known that he is keen on a rematch. Given that Haye was Parker’s mandatory challenger, a major fight against the winner of the matchup would certainly be in Parker’s best interests.